Lehi resident witnessed Tiger Woods’ victory up close, as they played together Sunday. In relation to both par and the leading score in the Masters, Tony Finau finished Sunday's round exactly where he started. The Lehi resident was two strokes behind the leader when he teed off and never got any closer than that, ending up two strokes back of the winner, Tiger Woods. Where could Finau have made up two shots? That's too easy. An 8-iron shot on the par-3 No. 12 that landed on the bank and trickled down into the water short of the green led to a haunting double bogey, taking Finau out of contention at Augusta National Golf Club. A three-birdie rally and a tie for fifth place gave him some consolation, and so did the experience of witnessing Woods' first Masters victory in 14 years as they played together in the final round. His closing 72 was nothing like Saturday’s 64 that had moved him into a tie for second place. Even so, that round should serve as one more building block toward a major title someday. 2018 – T10, Masters; 5th, U.S. Open; T9, British Open. Finau’s coach, Farmington native Boyd Summerhays, has believed for five years that his game is built for the majors, and the evidence keeps saying so. Finau has posted top-10 finishes in four of the last five majors, starting last April at Augusta National, and has seven top-20 showings in 12 career starts. And in the each of the next three months, thanks to the PGA Tour’s new calendar, Finau will take another shot on similar stages. The stories of other Utahns who have been in positions similar to where Finau was Sunday — in the exact same spot, in one case — provide a divergent road map of what may lie ahead in his career. Provo's Dan Forsman was one stroke off the Masters lead in 1993 when he came to No. 12. He hit two shots into the water and eventually tied for seventh place, at age 34. Forsman was one of the PGA Tour's top players at the time, but he never again would contend in a major. In 1999, Sandy's Mike Weir was paired with Woods in the final round of the PGA Championship and shot an 80, fading to a tie for 10th as he watched Tiger win. Four years later, Weir won the Masters. Everything about Finau's game and his demeanor suggest he will have multiple opportunities to win majors, and eventually will maximize one or more of them, as Weir did. Finau's performance in last September's Ryder Cup drove that home, to himself and others. In the Masters interview room Saturday, he told the story of looking around the U.S. team room in Paris. “That when I told myself, 'Not only do you belong here, but you can become a major champion like most of the guys in here, ” he said. That forecast almost has to become accurate, at some point. Finau, 29, is giving himself so many chances that finishing on top one of these times seems inevitable. He faded to fifth place in the U.S. Open last June and he settled for a tie for fifth Sunday, although he deserves credit for fighting back from a tie for 12th as he walked off the No. 12 green. Daniel Summerhays' third-place finish in the 2016 PGA Championship remains the best showing in a major for a Utah native in nearly a century. 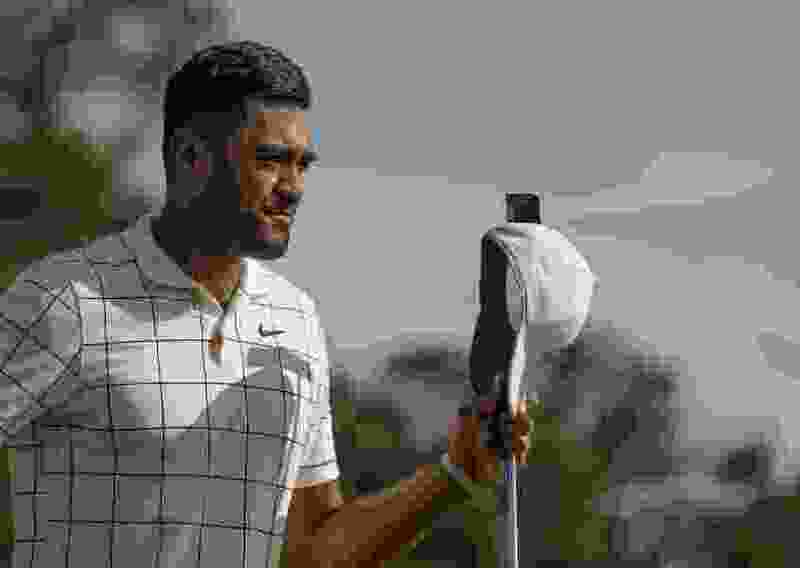 Finau will play next month in the PGA at Bethpage Black in New York, a state park facility – just like the old Jordan River Par 3, in the days when Finau was learning to play golf in the Rose Park neighborhood. A victory for Finau in that public-course setting would be a great story, but not a stunning development. The surprise would be Finau’s not being in the mix in another major. U.S. Open – June 13-16, Pebble Beach, California. British Open – July 18-21, Royal Portrush, Northern Ireland.